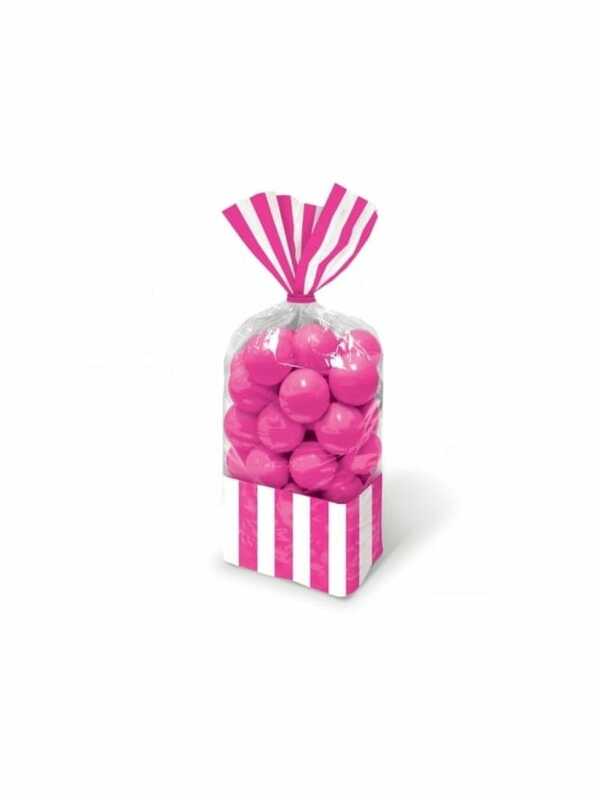 When the hen party's over, what better way to say thank you than with these vintage Hen Party Candy Buffet Striped Party Bags? Fill to the brim with sweets or favours to show your #TeamHen how much you appreciate them! These shabby chic boxes are 6.3 cm x 3.8 cm x 2.5cm and come in pink, grey, red, black and purple. Pick the colour that coordinates with your chosen hen party theme and lay out these lovely bags with your hen party food table or candy buffet. You can create some lovely gift bags, or hen party favours using these cellophane bags. Why not fill them with a selection of gifts and treats, such as the Mirror Compact Favour, the Flashing Shot Glass Ring, or some Sweets? You could even fill them with popcorn from your very own popcorn maker!